Australia’s Chief Scientist Dr Alan Finkel has unveiled a blueprint to optimise the National Electricity Market. Dr Finkel presented the Final Report of the Independent Review into the Future Security of the National Electricity Market to COAG Leaders in Hobart today. We welcome the Finkel Review’s Draft Report released today that has done a great service to Australian citizens and energy consumers in addressing the key issues facing the electricity market in transition to decarbonised power production and delivery. The Report highlights the need for strong progressive targets for decarbonisation and a strategic integrated grid energy plan that incorporates the now competitive renewable energy technologies and storage. Many of the recommendations made in the Monash Energy Materials and Systems Institute’s (MEMSI) submission have been paralleled in the Report and must therefore be supported by a wide range of stakeholders. 6. in particular we support the critical stop of setting up a powerful Energy Security Board with a clear mandate for monitoring the market transition and ensuring consistency between the actions to achieve reliability, security and efficient prices. 1. The Clean Energy Target’s trajectories should be strong and follow the very clear recommendations provided by Climate Science and the Paris agreement. In particular by targeting the 1.5 degree pathway. 2. The recommendations need to be supported if not enshrined in an appropriately strengthened Australian Energy Market Agreement and is associated National Electricity Law and National Electricity Rules. Moreover we note that it has been comprehensively reported around the world that clean energy jobs are at least as numerous as coal, gas and oil jobs and with our ample solar and wind resources as well as some of the world’s highest retail electricity prices we are well placed to economically benefit from the energy transition. Finally, I again welcome the report am relieved that we finally have a coherent and unified set of recommendations for energy market reform that recognises that we already have all the technological tools we need to truly address the climate challenge and reduce energy costs. MEMSI’s broad field of technical and policy experts are eager to support the transition. One of the key problems facing our electricity sector has been policy uncertainty. There is much to gain from coming together to support a policy that provides a path forward for new low-carbon investment. The Finkel review has recommended a Clean Energy Target. The approach builds on Australia’s current Renewable Energy Target, and would help to ensure that there is sufficient investment in renewables to replace our ageing coal-fired generators. In terms of emissions policy, a simple carbon price would be best. Absent that, it makes sense to focus on policies to bring renewables onto the grid. A Clean Energy Target would help to do this. The Clean Energy Target would involve certificates only for new low-emission generators and existing low-emission generators that increase their output. This targets the scheme on new investment. Rapid reductions in the costs of renewables and energy storage make this an exciting time for the electricity sector. Hopefully Australia will get on with the job of moving to a low-cost, low-carbon electricity system. The Finkel review is a great opportunity to take the politics out of energy policy. The proposed Clean Energy Target will provide strong direction for the electricity sector to transition to a more sustainable energy mix to meet the Paris targets while maintaining energy security. There is a need for clear policy that reduces uncertainty: the Climate Change Authority and the Australian Energy Market Commission have shown that risk associated with current uncertainty has contributed to under investment and price increases around $40/MWh. Continued investment in renewable energy technologies at current rates will allow us to easily exceed the Paris target. The electricity sector is by far the cheapest and easiest sector to reduce Australia’s emissions and should be taking a greater share of the Paris target. This is recognised in the report recommendation for a ‘whole of economy emissions reduction strategy’ providing scope for more ambitious efforts in future. Professor Samantha Hepburn is the research director of the law school at Deakin University in Melbourne and is also the Director of the Centre for Energy and Natural Resource Law (CENRL). The clean energy focus of the Finkel report is consistent with the increased global focus upon sustainable, renewable energy production. The report recommends a clean energy target for Australia that is technology neutral. A low emissions target (LET) is recommended that is anticipated to operate in a manner akin to the existing RET however, 'clean energy' is explicitly defined as emanating from sources that produce no more than 700 kilograms of carbon per megawatt. This means that the scope of clean energy includes not only renewable energy production such as wind and solar but also nuclear energy, gas - which the report indicates must play a particularly important role as a transition resource - and coal production incorporating carbon capture and storage technology. Unlike an emission intensive scheme where high polluters purchase credits from cleaner operators, in a manner akin to the transactional process within the wholesale electricity market, the LET would create a separate market. The focus on gas in the report raises the spectre of domestic gas supply and pricing. The difficulties facing the Eastern gas market and the longer term utility and effectiveness of the domestic gas security mechanism will be strong concerns. An important focus of the report is energy security. The report outlines the importance of regulating storage requirements for renewable projects. The report also indicates the need to implement regulatory controls over notification periods for the shut-down of coal-fired power plants. Carbon intensive coal production will decrease within a clean energy framework and a carbon constrained economy however increased warning of proposed closures will, the report suggests, allow for economic and social adjustment. The increased focus on gas suggests that onshore gas production - both conventional and unconventional - is likely to be accelerated. This will inevitably involve the reassessment of existing regulatory bans and moratoriums in some states. The report makes it clear however that stronger evaluation of the potential environmental impacts associated with coal seam gas, shale and tight gas extraction upon water resources, the landscape and adjacent communities is critical in order to ensure longer term sustainability. Everyone should agree that we need a national strategy for the transition to a clean energy future. The critical problem since 2007 has been the political opposition to this essential foundation. It is also reasonable to argue, as the review does, that we need security of supply and a period of notice for the closing of old generators, to allow commissioning of replacement supply capacity. I agree with the principle that specifying either a Clean Energy Target or an Emissions Reduction Strategy could be an acceptable way to manage the transition to a clean energy future. What is disappointing is the scale of reductions envisaged and the timeline for change. Basically, these recommendations would allow dirty old coal-fired power stations to continue operating for decades. The review projects that clean energy supply would still only be 42 per cent of the national market by 2030. There are now credible studies showing that we could effect the much more urgent transition that is demanded by the increasingly urgent evidence of serious climate change. Consumers want more urgent action, and our international obligations require more urgent action. Finkel offers a chance to start breaking down the political deadlock over energy and climate policy. The report rightly points out the need for policy and markets to be adapted to new the realities of new technologies, and the need to integrate emissions reductions policy with energy policy. Importantly, Finkel emhasizes the cost that continued policy uncertainty would have, and shows scenarios where electricity prices are lower under a stable low-emissions policy framework than under continued uncertainty. Policymakers should take heart to embrace reform to markets and policy, and to do so with a long-term trajectory in mind. The Clean Energy Target recommendation seems calibrated to political realities, as an emissions trading scheme is politically out of the question for the current government and an emissions intensity scheme was also rejected by government. How effective a clean energy target would be depends on the ambition that government fills it with, its design and implementation, and on whether industry will have confidence to invest on the basis of it. That, in turn, requires political stability around energy policy. However, the low-carbon ambition that Finkel suggests risks falling short of Australia's task and opportunities in reducing carbon emissions. Finkel calls for a minimum 28 per cent reduction in carbon emissions from electricity by 2030, proportional to the national Paris target. Twenty eight per cent would not be enough, because the electricity sector can and needs to deliver much greater percentage reductions than the economy overall. There are large opportunities to cut carbon before 2030 by replacing ageing inefficient coal plants with renewables. The opportunities for renewables are plentiful in Australia and costs are coming down rapidly, including for storage to manage intermittency. The worry is that governments will take Finkel's 28 per cent reduction for the electricity sector as its target and thereby fail to achieve the economy-wide reduction by 2030, because less will be done in other parts of the economy. This would set Australia on a long-term emissions trajectory that is higher than it needs to be and out of line with the larger objectives. Accepting the Finkel Review findings will set Australia on a path to reduce emissions, secure our energy supply and, in the longer term, reduce energy prices, according to the Academy of Technology and Engineering (ATSE). In the absence of an explicit emissions pricing mechanism, its proposal for a low emissions/clean energy target (LET/CET) is sensible and should guide policy in this area, which has been wanting for a long time. It gives Australia a roadmap to use in solving its energy trilemma – ensure adequate and reliable energy supply that reduces or removes greenhouse emissions from electricity generation and in the longer term rein in, and then reduce, energy prices. The Review recognises that the technologies available today and others progressing to demonstration and commercial deployment offer the solution to our energy problems. Nonetheless, a technology-neutral approach, which allows the best technology options to be identified and deployed according to market needs, is the key to solving our energy issues. On the current technology trajectory, the cost of reliable renewables is reducing rapidly and while the price of electricity is higher in the short to medium term, we will end up with secure, ‘clean’ and affordable energy in the longer term. This means that the scope of clean energy includes not only renewable energy production such as wind and solar but also nuclear energy, gas - which the report indicates must play a particularly important role as a transition resource - and coal production incorporating carbon capture and storage technology. Unlike an emission intensive scheme where high polluters purchase credits from cleaner operators, in a manner akin to the transactional process within the wholesale electricity market, the LET would create a separate market. The focus on gas in the report raises the spectre of domestic gas supply and pricing. The difficulties facing the Eastern gas market and the longer term utility and effectiveness of the domestic gas security mechanism will be strong concerns. An important focus of the report is energy security. The report outlines the importance of regulating storage requirements for renewable projects . The report also indicates the need to implement regulatory controls over notification periods for the shut-down of coal-fired power plants. Carbon intensive coal production will decrease within a clean energy framework and a carbon constrained economy however increased warning of proposed closures will, the report suggests, allow for economic and social adjustment. The increased focus on gas suggests that onshore gas production - both conventional and unconventional - is likely to be accelerated. This will inevitably involve the reassessment of existing regulatory bans and moratoriums in some states. The report makes it clear however that stronger evaluation of the potential environmental impacts associated with coal seam gas, shale and tight gas extraction upon water resources, the landscape and adjacent communities is critical in order to ensure longer term sustainability. 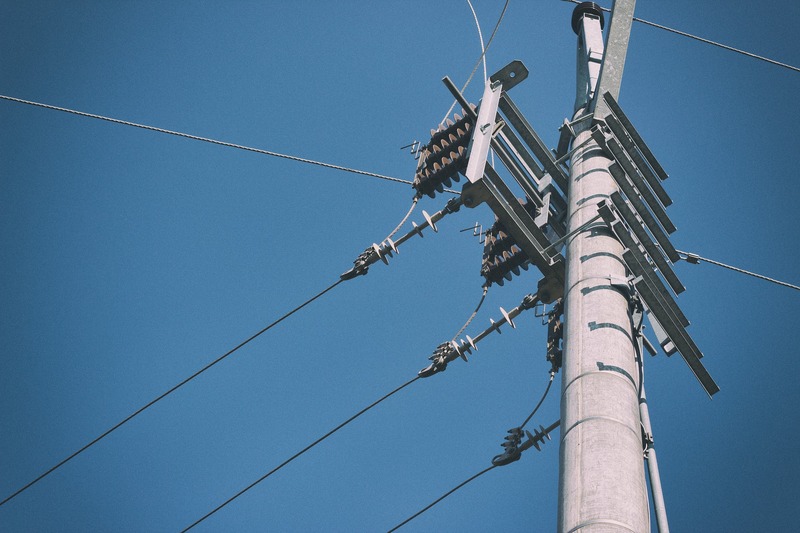 The Finkel review provides a comprehensive suite of carefully considered measures to bring the national electricity market into the 21st century. It presents a flexible, technology-neutral approach to decarbonising the electricity sector – which is the first cab off the rank to address climate change. The review’s recommendations provide politicians with the tools required for a much-needed bipartisan approach to meet our energy security, affordability and sustainability goals. These tools will provide the policy certainty required for the urgent multibillion dollar, multi-decadal investment by industry. Technology and the associated regulatory and market possibilities are moving so rapidly that we need to be agile to keep ahead of them. The Finkel review is the start of that process. In order not to be surprised by future developments in the energy sector, governments should take the recommendations of the review on board and consult with experts at the cutting edge of energy research to continually evolve our energy systems. CSIRO recognises the need for changes to the electricity market and is pleased to play a role in driving energy innovation. The key principles that any climate policy needs to meet include being stable, technology neutral, limiting costs to consumers, market based and has the ability to meet the Paris Climate targets. Technology neutral policies enable all technologies to compete on their merits. CSIRO modelling has found that all energy technologies face different social, technical and commercial risks, and therefore a technology neutral approach allows time to discover which of the technology risks materialise and which technologies emerge as the least cost options. We work collaboratively to understand the risks, costs and benefits of a wide range of energy technologies that enable industry and government to weigh the options for commercial investment. According to our modelling, gas has a strong role to play in the energy mix, providing rapid response bulk electricity during periods of low supply and/or peak demand. The fuel mix will evolve from being coal dominant with new investment focused on solar, wind, gas and storage to 2030. Batteries (and other energy storage technologies such as pumped hydro) will play a crucial role in balancing demand and supply. When renewable output is low, storage is cost effective in filling the supply gap for several hours but not for longer than half a day. For longer outages of half a day or longer, gas turbines or other conventional dispatchable technologies are more costly. The recommendation for a Clean Energy Target is essential because it sends a signal to investors that a stable policy will prevail, allowing large and/or long term projects to secure funds. The Finkel review highlights the importance of renewable energy as a key priority – science dictates it and it is up to our governments to ensure Australia is best placed to be a leader in this area, rather than being realised when it is too late that we have missed the first-taker opportunity to transition to jobs of the future and safeguard our environment at the same time. Can Finkel break the tribal deadlock on clean energy policy in Australia? After 10 years of political bickering and inaction, the Chief Scientist may just have opened a small door to Australia's clean energy future. While certainly a compromise in some quarters, his recommendations could form the basis of a sensible long-term strategy to reduce emissions from the electricity sector while keeping prices under control. More importantly, this platform - if agreed to by parliament - will provide investors with some certainty that long term assets in clean energy won't become stranded due to policy reversal. The time for a sensible approach to the clean energy opportunity - globally a massive new industry - is way overdue. I approve of the progress to a Clean Energy Target as a positive way forward. The need for a system wide grid plan is very clear. One aspect mentioned in the media release is the obligation on new generators to provide essential services to maintain voltage and frequency. The release was indicating that that the level of supply would be set by the market operator. My concern is that can be interpreted that all variability of wind farms and solar must be met by new generators of wind and solar. In many cases there can be a high level of diversity between sources that can be to the benefit of the grid. It may prove more beneficial for the nation to have some centralized storage control and some diversified to neighbourhoods. If there is value then a market for this can be made open to a wider group of players and potentially have distributed storage rewarded for compensating for wind variability. Potentially a lower level of storage would be required than having each generator responsible for its own variability. A similar case can be made for some degree of distributed support for voltage. The current fault ride-thru for wind farms is a component of voltage support that is fully appropriate to be absorbed by the wind farm itself. Frequency control is being cited in AEMO as a reason for substantial operating changes. I would see that a greater engagement of fast demand management would address a substantial component of the professed need for major changes to inertia. The current under frequency load shedding was inadequate to meet the need to stabilize the previous SA blackout. Monitoring the angle across the interconnector to trigger fast load reduction would address much of the current concerns. There are some immediate needs that seem to require specific conventional fixes but longer term this will be a much more expensive path than developing community responsiveness through reward for battery investment and for engagement to fast demand response. In the full report there is acknowledgement of the benefits of customer response to manage their demand. I wish to emphasize that there is also a role that customers can play to system management of voltage and frequency. With so much focus on the design of a mechanism to support a shift towards lower emissions generation, it is easy to forget that the primary purpose of the Review, commissioned following the system black event in SA on 28 September last year, was “to develop a national reform blueprint to maintain energy security and reliability”. It is thus appropriate that electricity system and security and reliability are the first topics to be addressed in the main body of the report. System security is defined as the ability of the system to tolerate disturbances. Maintaining security requires the system to be able to prevent very high rates of change of frequency. At present the system has no explicit mechanism for doing this, but relies implicitly on the inertia provided, effectively as a free service, by existing large thermal generators. The Report recommends a series of regulatory energy security obligations to provide this service by various additional means, falling on the transmission network service providers in each of the five NEM regions (states), and also on all new generators connecting to the system. System reliability is defined as the ability of the system to meet consumer demand at all times. In the old system, this is achieved by so-called dispatchable generators, meaning coal and gas thermal generators which can vary their output up and down, as required to meet demand. In the new system, with large amounts of variable wind and solar generation, other supply sources are need to meet demand at times of low wind speed and/or lack of sun, i.e. to act as complements to wind and solar. Existing hydro and open cycle gas turbine generators are ideally suited to this task, but with the growth in wind and solar generation, this capacity will very soon be insufficient for the task across the NEM (and is already insufficient in SA). The Report recommends what it calls a Generator Reliability Obligation. The obligation would be triggered whenever the proportion of dispatchable generation (which could include batteries and other forms of storage) in a region is falling towards a pre-determined minimum acceptable level. The obligation would fall on all new renewable generators wishing to connect thereafter and, in the words of the Report 'would not need to be located on-site, and could utilise economies of scale' through multiple renewable generation projects 'pairing' with “one new large-scale battery of gas fired generation project for example'. If implemented, this recommendation would seem certain to greatly complicate, slow-down and add to the administrative overhead cost of building new renewable generation. It would involve putting together a consortium of multiple parties with potential differing objectives and who would otherwise be competing with each other in the wholesale electricity market. A far better approach would be to recognise that dispatchable generation provides a distinct and higher value product than non-dispatchable generation. There should be a separate market mechanism, possibly based on a contracting approach, to provide this service. If well designed, this would automatically ensure that economies of scale, as may be realised by pumped hydro storage, for example, would be captured. The would be far more economically efficient, and thus less costly to electricity consumers, than the messy processes required under the Report’s obligation approach. The Finkel review includes battery storage as an essential component underpinning future energy security. Storage allows for more distributed, and therefore resilient, power generation and distribution, shaping an ever-cleaner and more sustainable energy landscape. Adoption by both sides of politics of the substantive majority of the Finkel's recommendations will provide investment certainty for the energy sector. In turn, this will lead to lower prices and more jobs – a win-win for the nation. Science & Technology Australia urges a speedy, decisive and bipartisan response to the Chief Scientist’s Independent Review into the Future Security of the National Electricity Market. This Review demonstrates that we can prioritise clean energy and emissions reduction while also achieving stability and reliability, and meeting current and future energy needs. The Review also highlights the potential for Australia to be a world leader in new energy generation and storage technology, innovating through sound investment in Australian energy science and technology. We are keen that both sides of politics move to take full advantage of this opportunity to modernise our energy policy, and support the growth of a strong clean energy sector while taking significant steps in the important work of reducing CO2 emissions. We want to highlight the need for mature and decisive action when deciding on future directions for Australia’s energy sector. Science & Technology Australia commends the Chief Scientist for providing a solid and effective framework for building Australia’s energy future, and we urge bilateral leadership in responding to the Review. Dr Liam Wagner is a Lecturer in Economics specialising in energy economics and policy at Griffith University. The Finkel Review into securing the future of our electricity system has chosen to hedge its bets on what the design and implementation of a transition strategy to a low carbon economy. A clean energy target is a simplified approach to an emissions intensity scheme and reiterates why removing a price on carbon has failed to increase the security of our electricity grid. While it seems that all technology options have remerged from previous white papers, the Finkel review has raised the white flag to gas, nuclear and CCS (carbon capture and storage) options. Since the commencement of LNG exports on the east coast, gas prices domestically have had an enormous effect on electricity affordability. While the pursuit of unconventional gas resources may improve supply concerns, the continuation of high gas prices will be unabated. The reliance on gas as a transition technology towards a low carbon economy should only be a short term option (http://dx.doi.org/10.1016/j.enpol.2013.11.003). The inclusion of nuclear as a viable option for Australia has been discussed at length and rejected by energy economics experts continually. The use of nuclear power generation in Australia, while unpopular, is seen by many energy economics experts as the panic button option. Its cost of deployment, operation and overall life-cycle have yet to present a viable option for Australia. Furthermore, the lack of human capital in Australia capable of operating utility scale nuclear power generation would require more than 10 years to establish. Australia needs a range of technologies and policy options to address energy security coupled with the challenges of climate change. The timeline for improving supply certainty must be dealt with now to avoid grid wide black outs. Additionally, in order for Australia to transform to a lower carbon intensive economy, renewable energy needs to be front and centre of any plan to design the future electricity grid. The Finkel review has failed to excise itself from the previously identified pitfalls of non-renewable energy technology highlighted over the past 10 years. While Australia tolerates another pseudo-whitepaper on energy, what in effect will change? The answer is most likely, nothing.